There’s no city in America quite like Miami. The southeastern city is more South America than American South. To many people, it’s a steamy, sweltering, oceanside playground full of models, all-night parties, and lost inhibitions. To others, it’s the gleaming beacon of American freedom. It’s the largest immigrant city in the US, where you’ll hear five different languages while standing in line for a Publix sub. It’s also a judgment-free zone where people don’t blink twice when someone stumbles out of a club at 7:00 AM. Miami has some of the best arts, culture, and food in the world, so visiting no longer means just laying out on the beach and staying out all night. Or it does, if that’s what you’re into. Because remember it’s not YOUR-ami, it’s Miami. So take our advice, then do whatever suits you best. Matt Meltzer, Matador Network’s Senior Staff Writer, has lived in Miami for 20 years and literally did his master’s thesis on relocating to the city. He’s lived in six different parts of the city, attended the University of Miami, and currently teaches writing for digital media at The U one night a week. 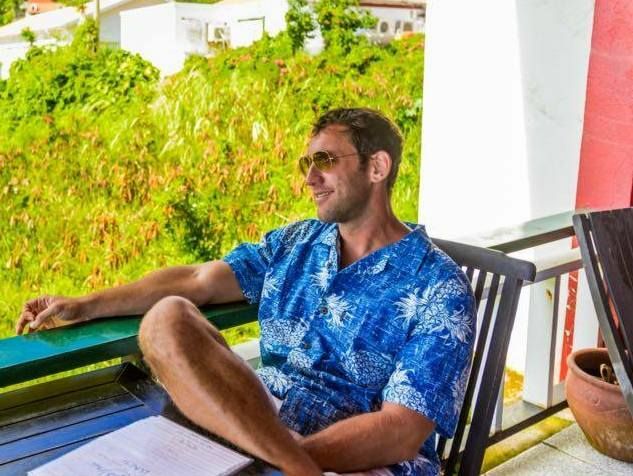 He worked as the local Miami editor for Thrillist for five years and was a senior editor at the now-defunct MiamiBeach411.com for almost a decade, where he dispensed advice in online forums and wrote guides to the city much like this one. He currently lives in Brickell and takes the Metrorail and Brightline trains as often as possible. The weather in Miami is (almost) always sunny, so you’ve got a pretty good chance of having at least one good beach day any time of year. Except June. June is the month Miamians forget when they say stuff like, “It rains hard in Miami, but only for an hour.” An hour and all of June. Imagine Seattle inside a sauna, and that’s June in South Florida. The rest of summer can be painfully hot and humid, but it generally only thunderstorms around 4:00 PM, much like the rest of the year. It may thunderstorm more frequently during August and September - the height of hurricane season and the low point for tourists - so you can save a ton of money if you come during those months. The best weather will be from November to April when temperatures are in the low-to-mid 80s and the humidity is manageable. February and March bring the biggest events of the year but also the highest prices. But if it’s guaranteed sunny days and non-sticky clothes you’re after, it may be worth the splurge. Miami is a Latin American city that happens to be in the US. It will take you literally 45 seconds after getting off your plane to figure this out when you hear airport announcements in Spanish and encounter airport personnel who will not always be able to respond to you in English. You can either get mad about it or brush up on your high school Spanish before you come to town. If you’re not fluent, don’t panic; most people speak English well, and nearly every sign will be written in English. But you will never go a day without coming into contact with someone whose first language is Spanish, so knowing a few key phrases will go a long way, particularly when it comes to making friends with locals. Like any city, Miami has its good parts and bad parts. It’s not the murder capital of America like it was in the 1980s, but Miami’s not New Zealand either. Stick to the tourist-heavy areas and don’t try and find the “real” Miami, and you’ll be fine. Venture out on your own and you may find yourself in dicey areas, especially around Wynwood and Coconut Grove. The good news is that Miami has a somewhat-fully-functioning Metrorail that goes directly to the airport. The bad news is that it doesn’t go much of anywhere else you’d want to go to. The orange line will take you to downtown Miami, the financial district in Brickell, Merrick Park and the University of Miami in Coral Gables, and the Hialeah Race Track if you’re big into quarter horse racing. Past that? Not much. There’s also a Metromover that runs through downtown, which is completely free. The good news here is that you don’t have to pay for it. The bad news is that nobody else does either, which means it’s not at all uncommon to find yourself trapped on a tiny train with a guy who smells like he hasn’t showered since the Obama Administration. And in Miami, that can make you pretty ripe. That said, it’s a useful way to get through downtown and Brickell as traffic there is only slightly better than Jakarta. If you’re going to Miami Beach and staying there, you can take a taxi from the airport. You can also grab a rideshare at MIA, but there’s not a designated pickup zone. Once in Miami Beach, everything is pretty walkable, and you can also get a Citibike and pedal around. Miami also has Uber and Lyft, which can be one-fourth the cost of a taxi and are generally a better move. In Miami Beach, you’ll find they arrive almost instantly. If you want to explore South Florida, the city also has the snazzy new Brightline train, which whisks you up to Ft. Lauderdale from downtown Miami in 25 minutes, all the way up to West Palm Beach in just over an hour. It’s got a bar and WiFi and enormous, high-tech bathrooms, plus the nicest train stations in America that smell like a fresh citrus garden. This is not an exaggeration. The buses are useless. Don’t even try. Wynwood Brewing Company has Happy Hour Monday through Friday.